Run the best restaurant and win the Contest! 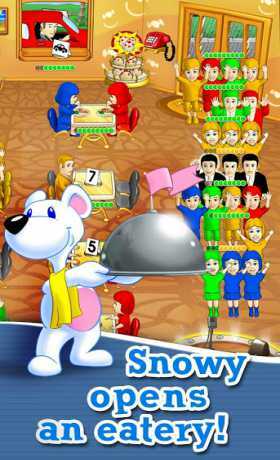 Snowy the Bear opens his own eatery and offers fast-paced yet simple fun. Seat hungry customers, take orders, serve food, collect cash and clear tables. Match colors, chain actions and keep your customers happy to earn big tips! Deal with VIPs and don’t miss impatient drivers. 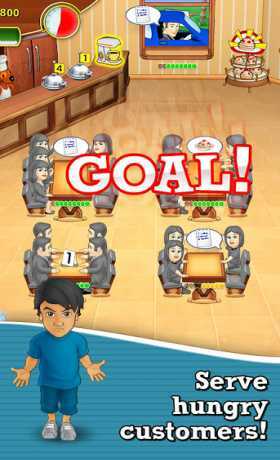 Earn money to keep the restaurant open and upgrade to better and bigger locations. And if you’re not enough with 60 rush days of the Restoration Contest story, okay, try to survive in NON-STOP mode! – The only restaurant where the bears serve hungry customers! 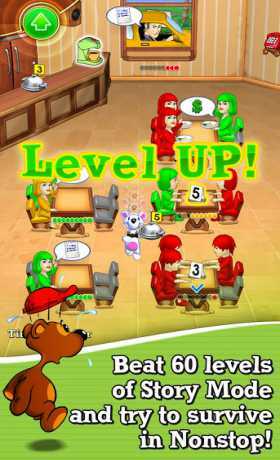 – Nonstop Mode with awesome upgrades!